TP Box has announced an API-driven integration with Memsource. TP Box is a translation management platform and Memsource provides both a translation management system and translation environments. 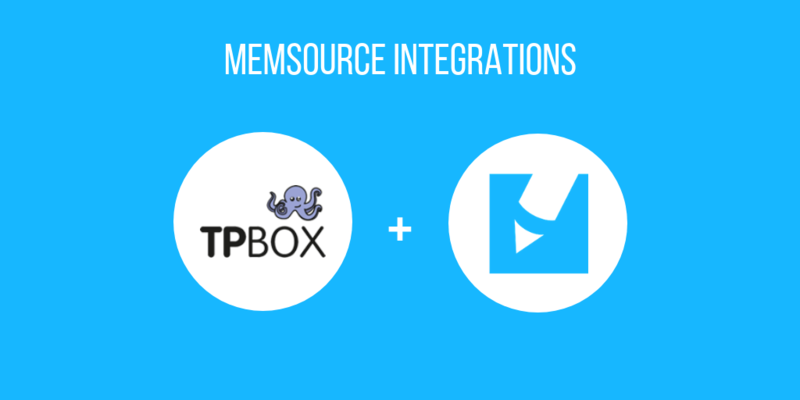 This new integration will allow TP Box users to make the most of Memsource’s extensive project management features, from calculating quotes based on pre-translation analyses to easily sending out jobs to internal and external translation providers. Memsource helps global companies translate more efficiently. Memsource is the Translation Management System that supports 400+ languages, 50+ file types, 25+ MT engines, and patented AI technology. For the last ten years, TPBox has been a major Translation Management System used by dozens of translation agencies worldwide. It takes charge and centralizes all electronic communication, quotations, commercial follow-ups, projects, and invoices.